Vesen are one of Norway's most thrusting metal bands. 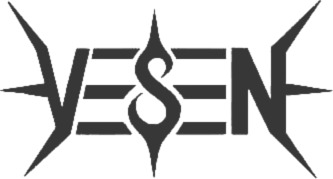 Vesen was formed 1998-99 under the name Svarte Faen, and the style was primitive black metal. Prior to releasing a horrible rehearsal tape/demo called "Ilddåp", the band's name was changed to Vesen. The demo was rightfully slaughtered by critics. them, more melody lines and structure was put into the music. 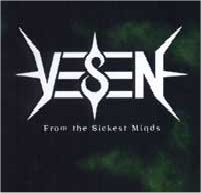 The self-engineered 2001 demo "From The Sickest Minds" varies from black metal to gothic/doom, as well as the thrash metal influences that turned out to be the future direction of Vesen. Vesen to do their next recording in his Fias Co Studio. 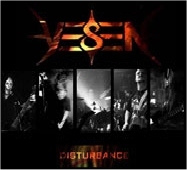 This resulted in "Disturbance", with the true face of Vesen finally revealed, sounding the way it was always intended, and the response and reviews of this demo were good. More song writing, rehearsing and the occasional live appearance (supporting bands like Behemoth, Susperia, Audiopain etc) led Vesen to their second visit to Fias Co to record the "Masterpiece" demo November 2002. Vesen was back on track, and "Masterpiece" was finally released in July 2003.